It is very common that foreigners want to acquire housing in countries other than those of their origin and residence, either for business or because they are looking for a new place to live in. That is why at HalloCasa we strive to provide you with reliable and concrete information about how this process is being carried out. In Chile, both local and foreign citizens enjoy the same rights when acquiring property, however, the only restriction is not to acquire land near or in the border areas, although it is not something that usually occurs because the location of these areas is very remote from the population. We are happy to see that you are interested in a property published on HalloCasa. On HalloCasa you will be able to use a large number of tools in order to understand the process of buying a property, as well as to find general information about it. On HalloCasa you can also find available documents and additional information, which will allow you to investigate in detail the environment and infrastructure of the property, facilitating the buying process. In Chile, for example, the broker profession is not regulated, so it is very easy to exercise. In Chile, property sales are done in two ways: directly through owners or brokers. HalloCasa will indicate the language in which you can communicate with each respective person. Most agents speak English, but in case you need a translator, on HalloCasa you can also find translators. The seller will send all available and necessary documents to you. However, a visit to the property may be of interest for you, so if you need assistance with travel arrangements, HalloCasa’s experts will be available to advise you at the time you contact them. We recommend that you take a look at the tour operators, this will allow you to realize how beautiful this country is. Contract negotiations are often processes in which both parties gradually approach each other. It is important to take into account that in Chile specific conditions to the contract of trading apply, so it will be useful to know its details. You will be able to know notes regarding the additional purchase costs in our frequently asked questions; it can be very interesting for you. You are about to acquire your property! You sign the contract, either personally in Chile or through an authorized representative in Chile. On HalloCasa you can consult information about notaries whom you can contact directly. Read below also our detailed process of buying Real State in Chile. Your property is already registered on your name in the Real Estate Conservative of Santiago. Congratulations! You recognize that this country has great potential, and believes that this is a promising country. We are happy for you! Enjoy your property! Pay attention to the details of the language skills of the owner / agent. Important note: In Chile, to make the purchase of a property, the owner must have in a folder of antecedents, both the full titles of the last 10 years and the mortgages and encumbrances of the last 30 years. 1) Photocopy of the Inscription of the Property Registration. Delivered by the Conservative of Real Estate. 2) Certificate of encumbrances, and prohibitions of the registered property. Delivered by the Conservative of Real Estate. 3) Photocopy of the public deed of trading that accredits the acquisition of the property in favor of its current owner. 4) Non-expropriation certificate issued by the Municipality or by the Housing and Urbanism Service (SERVIU), corresponding to the address of the property. 5) The last payment of Contributions of the General Treasury of the Republic. If the property is exempt of payment of contributions, then you must present the Certificate of Exemption granted by the Internal Revenue Service (SII). 6) Certificate of Debt for Contributions granted by the General Treasury of the Republic. 7) Map of the property, if applicable. In case of buying directly from the legal owner, we advise you to consult with a lawyer, make translate and certify all the documents before they are sent to you. Later you will find a link with the official translators. An appraisal is a document that gives a specialist in this topic, about the value that should be assigned to a property for its subsequent sale. In order to issue this document, several aspects must be taken into account: the condition of the property, its antiquity, the area where it is located and its general physical characteristics. In Chile there are two ways for the foreigner to obtain his RUT: the normal procedure and the simplified one. If you do so through a third person, you must give this power of attorney through a Notary. If such power of attorney is granted abroad, it must be endorsed by the Chilean consulate in your country and also by the Ministry of Foreign Relations in Chile. In the case of a simplified procedure, that is to say, through authorized Banks or Brokers (“custodians”), they must duly identify themselves to that institution by means of a simple copy of the passport, identification document of the country of origin or similar, or another document that the “custodian” deems pertinent. In addition, they must comply with the own restrictions of this simplified mechanism, such as type of investments and origin of funds. Full identification of the buyer and seller. Foreigners are identified in Chile with the passport. Detailed description of the property including the identity number that is called Property Role. Value of the property and method of payment. The value of the penal clause should also be stipulated in case of non-compliance by either party. Identification of the notary’s office in wich the definitive deed will be signed, as well as the date and time of such signature. It also stipulates the distribution of notary expenses, taxes, and any other expenses that cause the process of trading. The promise must be in writing. The person who signs the promissory sales contract must be legally capable, that is, of being of legal age and of having full mental faculties. Such act or declaration, as the consent of both parties should not suffer from vices. This means that for its signature both parties must do it in full use of their faculties, without being deceived or under pressure, etc. The promissory sales contract falls on a lawful object. The promissory sales contract falls under legal cause. To know the rates of purchase of real estate in Chile, see the section “What are the transaction costs (notary fees, taxes, transfer costs)?” In our FAQ below. In Downloadsyou can download examples of these documents. Remember that the sales contract in Chile must be in charge of an authorized notary. According to Chilean law, the notary is a neutral party and is empowered by them to represent the two parties, ie buyer and seller. To make a bank transfer, you can have a person in CHILE (friend, family member or your representative) who owns a Chilean bank account, in order to transfer the money. Preferably a person other than the owner. With this end, the document “Ejemplo_ Poder de un Representante.pdf” in Downloads could be of help to you. In Banco Estado the person who will handle the money for the transaction of the purchase of your property can receive a payment order in the most used currencies: US dollar, euro, Canadian dollar, yen, pound sterling, Swiss franc, among others. The money can be automatically credited to the Checkings Account of the recipient, in his Savings Account, his Electronic Checkbook or his RUT Account, or also in cash provided as long as it is in Chilean pesos and can be withdrawn in any of the branches; If it is in foreign currency, the transaction is subject to the availability of the foreign currency in the branch to which it attends. The data or antecedents required by your bank abroad: name, address, account number, credit origin of funds, among others. Indicate your data as beneficiary: BancoEstado Branch more convenient for you, your full name, Account number (Checking Account, Savings, Electronic Checkbook or AccountRUT), address and telephone number. For high amount, additional information will be required that proves the origin of the funds. Before traveling it is ideal to previously confirm the time you will need to carry out the complete deal. Remember to bring all the necessary documentation. Check with your bank about the best option to transfer the money to Chile according to the seller. Within the Chilean identifications, the tourist visa and the RUT (Unique Roll Tributary) either temporary or permanent will serve to acquire your property. To acquire a property in Chile from abroad, apart from granting a notarial power of attorney (In Downloads you can download an example of such power of attorney) ample and legalized in the Chilean consulate to whom the transaction will be done, you as a foreigner will need a RUT that is a Unique Rol Tributary. This number is a fiscal identification similar to that of social security in some countries. The RUT will be required to any foreigner who wants to invest in Chile. The first thing you will receive when you apply for the RUT will be a provisional number. After 3 months you will receive the definitive document, however with the provisional number of the RUT you will be able to acquire your property and make other transactions. The only thing a foreigner needs to buy a house in Chile is the RUT number. You can buy a home with a tourist visa without even visiting the country although it is not highly recommended. On the date, place agreed and before a public notary, you and the seller or broker in case it is done through an intermediary, will meet to sign the deed. Doing it is the legal celebration of the transfer of ownership over the property. After signing, you will transfer or deliver the remaining money and the seller will proceed to make the transfer of the property together with the keys of the same. After signing the deed of the property, it must be registered with the CBRS Real Estate Conservative. In case the deed has been signed by electronic signature, the registration process can be done directly online on the CBRS website. Provide information about the name of the notary who granted the deed of trading. Provide the verification code of the copy of the deed of sale (for those that have been signed electronically). Online consign the rights corresponding to the registration. Form 2890 of the Internal Tax Service Sii, issued in a notary. In Chile, a foreigner who enters with a tourist visa cannot open bank accounts. All your transactions must be done in cash or using your credit card in establishments and authorized entities. In Chile being a foreigner, you can open a bank account as long as you have not less than two years of residence and the RUT (Unique Rol Tributary) that works as a fiscal identification number. Another way for a foreigner to open a bank account is to have a Chilean residence card or to open a mutual funds account which is a fixed-term savings account with fixed interest, but this type of account is not for immediate use And you will have to pay a penalty for withdrawing the money before the end of the investment period. Usted no puede hacer transferencias internacionales pero sí recibir. What are the expenses necessary for the process of buying a property in Chile? First of all it is important to know that the UF is a unit of Chilean account that means “Unit of foment” and is a form of payment used in Chile in financial transactions. The value of each UF is determined according to the moment value of the currency of the country that is the Chilean peso (CLP). Converting the currency would be like this: 1 UF equals 26,224 Chilean pesos. Appraisals (in Chile called taxation): UF 2,5. This case applies when the property is acquired through a real estate loan and its value must be set. This cypher corresponds to the associated costs of appraisal of the property. Value for the study of titles and the writing of the contract of sale: UF 4 to UF 5,5. The study of titles refers to the certificates of current domain, liens and prohibitions of the Conservative of Real Estate; certificates of numbering and non-municipal expropriation; Certificate of non-expropriation of the Serviu; Copies of deeds of the last 10 years and the civil status of the attendants. Notary Payments: UF 3 to UF 4. It is paid at the time of signing the deed and this value applies only to notaries in the capital of Chile (Santiago). Broker’s value: 2% on the total value of the sale. It is very important to note that real estate brokerage commissions in Chile, are free and vary between 1.5% and 2.5% plus VAT. This value is paid independently by each party, ie buyer and seller. Value for registration of the property before the Conservative Real Estate: the value can vary from 0.2% to 0.8% over the value of the trading. This procedure is done as soon as the deed is signed. The writing process takes approximately 7 business days. Stamp values: 0.4% of the value of the mortgage loan. In the event that the sale is made for properties that do not exceed 140 square meters, only 0.2% is paid up to two years from the date of final municipal reception of the property. As an additional expense, the person purchasing with credit will have to pay for insurance of disencumbrance and fire, incorporated in the dividend. Who sells must assume all the expenses related to the collection of antecedents for the study of titles, that is to say certifications of taxes payments, etc. The services of study of titles and writing of the final deed. If the buyer acquires the property by means of mortgage credit, he must add to the expenses the appraisal of the property and the tax of stamps. Where can I find Chilean real estate financing? Mortgage Loan: medium or long-term loan that is given for the purchase, extension or construction of new or used homes. The real estate is in favor of the Bank to ensure compliance with the credit. Depending on the term to pay the debt the different costs and interest rates (fixed or variable). The dividend will vary across the credit. There are associated costs such as the Operating Expenses that are according to the bank that granted the credit. The deadlines for payment of the credits can be 8, 12, 15, 20, 25, 30 and 40 years and must be informed within the credit application process. Housing Leasing: leasing contract with option to trading. During the term of the contract a monthly rent is paid and a programmed saving is made, which will allow to finance the total value of the property once the term of the agreement is fulfilled. The property is not registered in the name of the “buyer” until the last quota is cancelled, which is of the trading. So far it is a simple lease. In order to access this type of financing, the housing must be housed at DFL2 (if the property is less than 140 Mts2) and its price should not be less than 500 UF. Housing leasing offers financing up to 92% of the total price of the property. It is not required to access this type of financing of previous savings or applications of any kind. In 2010 the Chilean real estate market grew by giant steps and an example of this were the prices of the square meter that went from being worth 10 UF to 30UF and then to 50 UF. For this year 2016 in Chile, we are talking about a “soft landing”. The real estate market is in a downturn in terms of sales, so the real estate companies against low expectations include in their services portfolio brokerage for direct leases. The collection of VAT on construction seems to be one of the reasons. How has the Chilean real estate market developed in recent years? In the third trimester of 2012 real estate sales in Chile soared 34%. 7,131 units were sold from departments and 3,659 units sold from homes (it was double units sold in 2010). The rise in prices was 5.7%. In the year 2013, 37,192 homes were sold (among new homes, apartments and houses) in Gran Santiago (metropolitan area of the capital of Chile). The rise in prices was 7.3%. Compared to 2012 in the same period was positive as a figure but compared to expectations, there was a slight stagnation and slowdown in the construction sector (due to the decrease in the delivery of permits). 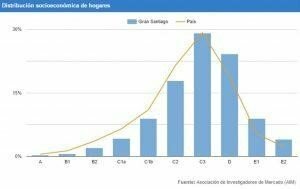 During the second trimester of 2014, sales of apartments and houses fell by 6.1% in Gran Santiago, but the price increase for departments was 13.7% and for homes of 7.9%. Likewise, in 2013 there was a decrease in permits for construction. During the first trimester of 2015, total sales were 52,427 in Gran Santiago, a 35.6% increase over 2014, due to the “VAT effect”. The departments are the choice of single people, seniors, young couples and students basically because of the practicality offered by small spaces. They are persons who do not require large areas because of their busy lives and the economy that these spaces offer. 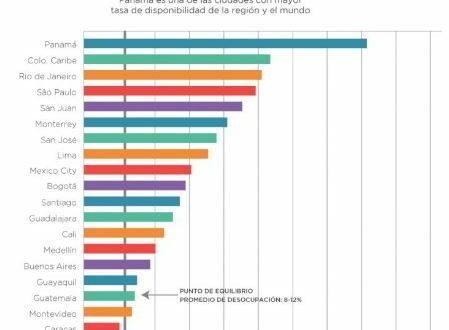 A bit of statistics: the type of housing that currently has predominated more in Chile are the departments. For the last trimester of 2015, sales of apartments increased by 57.6%. In terms of characteristics, the departments with an area smaller than 50 mts.2 were sold in 60% of the total. However for this year 2016 has been incorporated in the real estate offer, apartments that do not exceed 42 square meters in order to meet the demand of single people or very small families. Houses are sought by families with children because of their size, and also because of the privacy of their free zones, a big difference compared to departments that share common areas and in some cases walls. Under Chilean property co-ownership law, co-ownership is a regime of real state in which common assets such as plazas, event rooms, exterior walls, roofs, stairs, elevators and general facilities coexist, such as those of each owner, whether a house or a department. In this co-ownership relationship these common assets belong to all co-owners and it is the duty of each of them to share expenses among themselves for their care and maintenance. Do I have to declare my rent income to the Chilean Internal Tax Service? Yes. Natural persons who do not have their domicile or residence in Chile, whether foreign or Chilean, must assume the tax on income derived from real property located in the country. However, if you are domiciled in Chile, during the first 3 years you will only be taxed for the Chilean source income (only the Regional Director can extend the term) and will tax all incomes you get either inside or outside Chile. a) If the goods were acquired before 2004, the current rule applies, so the sale will not pay income taxes, unless it is habitual in these operations or sold before the year of its acquisition. b) For goods acquired as of 2004, an exempt quota of 8,000 units of foment will be established for the entire life of the taxpayer, which releases the utilities from the sale of real estate, without establishing a maximum number of units. As an example, if in 2017 a person sells a real estate purchased in 2004 with a utility of 6,000 UF, he will not pay tax on that utility and still have 2,000 UF tax free for future sales. i) The first is the cost itself, which corresponds to the amount invested in its acquisition plus the improvements. iii) The amount of a tax assessment as of the date of publication of the Tax Reform, that is, September 29, 2014. Is there a limit on the amount for investments (value cap)? No. In this sense, Chile is more flexible than other countries, that is, there is no limit on investment. Registration of the Unique Tributary Rol (RUT) for the purpose of carrying out his economic and commercial operations: it is mandatory for a foreigner who wishes to invest in Chile to be enrolled in the Unique Tributary Rol (RUT). For this you must identify yourself with your passport or your identity card of the country of origin or your identity card obtained in Chile (if you already have one). Fill out the registration form to the RUT. The RUT is important at the time of signing the deed. What kind of real estate can foreigners acquire in Chile? The only restriction is that the properties that the foreigner chooses are not close to the borders to a distance of 50 km, of the boundary or landmark. Tourist: tourists are considered foreigners who enter the country without purpose of immigration, residence or development of remunerated activities. Resident: Temporary authorization to reside in the national territory and to carry out the activities permitted by law. Resident with Definitive Permanence: Permission to reside indefinitely in the country and develop any activity. Is there a reliable property administrator onsite? At HalloCasa we provide you with a list of property administrators. Can I transfer money from Chile to my country of origin? Yes, you can transfer money from Chile to abroad. We recommend that you discuss this matter directly with the administrator of your property or your bank. Current Identity Card or current Passport (for foreigners). If you want to send high amount, additional information will be required to prove the origin of the funds.